Titanium UK build, repair and survey bridges in London and indeed across the UK.Our open approach to providing leading project management allows us to provide our clients with the best results every time. We fully understand the varying complexities between pedestrian, rail and road bridges and how important a flexible approach is to delivering a new bridge project on time and in budget... SAFELY. It is this diversity that makes Titanium UK a leader in new bridge construction across the capital. With a vast network of bridge maintenance and repair teams available in London to us at any one time Titanium UK are well placed to carry any bridge repair or maintenance projects through to completion successfully. In addition we provide scheduled bridge surveys across London for rail bridges, road bridges and pedestrian bridges. Our London based bridge inspectors can access every part of any bridge as per request. Our London bridge contractors provide roped access for high awkward positions and underwater solutions for bridge abutment inspections and scour surveys. Closed chambers are also accessible through controlled use of confined space equipment and measures. Titanium UK deliver competitive scaffolding solutions for any bridge maintenance or construction project. From simple bridge painting, maintenance or repair to full bridge construction projects our scaffolding operations department have it covered spanning rail, land and water. Our bridge scaffold services are available nationwide and cover all aspects of bridge scaffold assembly. Safety is always our priority above all else. 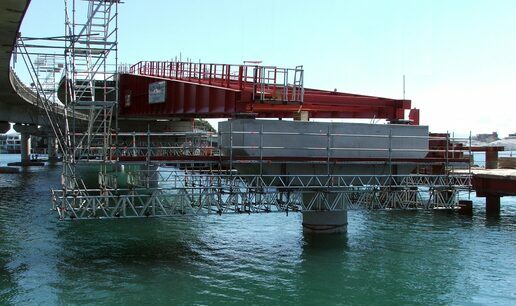 With an outstanding safety record Titanium UK is well placed to take on the most demanding of bridge projects. With an extensive platform of resources available at any time, Titanium UK can deliver World class bridge construction services to clients on demand. Reliability through extensive resources is a key factor in our success. Please feel free to contact our London bridge contractors today with questions. Our clients voice will be made heard throughout our company.We will focus all of our energy towards satisfying the needs of our customers in an efficient and effective manner. Our highly skilled and experienced staff are our most valued asset. It is the work of our trained employees that is the hub of our business. We will involve staff on all levels in the continuous improvement of our quality services. 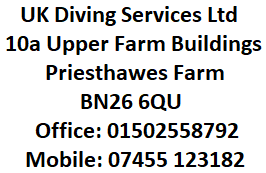 The Health and Safety Policy of UK Diving Services is to undertake everything reasonably practicable to prevent injury and ill health to all employees and others affected by our operations. We recognize that we all share this Earth and thus UK Diving Services is committed to using environmentally safe (green) products, recycling and energy conserving equipment whenever possible. UK Diving Services is fully committed to researching new procedures, chemicals and products that will add weight and move our environmental mission forward. We will use the best available engineering, construction, cleaning and finishing supplies, equipment and methods. New products and ideas will be incorporated on a continuous basis to help maximize the value of the services to our clients. We promise to do what we say. We promise stand by all of our work. The policies and rules our clients have in place at any work site. Our dive service recently provided a full principle inspection of a seven span masonry stone arch bridge. 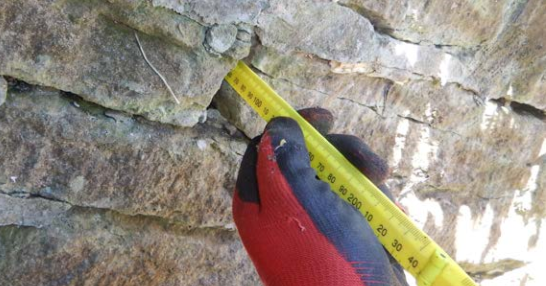 The report concluded scour present and immediate remedial works were undertaken by placing of scour pack grout filled bags and raising the river bed with granite rock armour scour protection. Our inspection diving teams have been engaged by Northamptonshire council for the purpose of surveying several multi-arch stone bridge structures. The scope of works includes both GI and PI inspections including the placing of scour protection and pointing as part of the specified remedial works. Our dive teams have recently undertaken numerous underwater video and sonar surveys on structures across the UK on behalf of Transport Scotland and the MOD. The structures varied from Bridges, Jetties, docks, moorings and river walls. UKDS are providing safety boat hire services on the tidal river Thames. Our safety boats are licensed under the PLA and offer rapid rescue support to contractors working over, on or near the water. All our crews are experienced skippers with backgrounds from the military and emergency services. Our hovercraft are commercial spec and covered under the hovercraft code of practice. We offer hovercraft hire and rental services to companies and contractors seeking to charter safe alternatives to conventional work vessels. Our hovercraft provide rapid support to work crews and operatives working in areas where tidal water levels drop and pose a risk due to soft mud or sudden flooding. We can also provide support on fast flowing rivers where conventional safety boats cannot operate. UKDS are currently preparing for safety boat hire operations at London Gateway on the tidal Thames estuary in London. Our skippers are highly trained operatives who currently work for the emergency services and previously with the British Military. We will be providing all legal documentation including Rams and certification of both our staff and the vessel.